The world’s oceans cover more than 70% of the earth’s surface, yet less than 5% of the depths have been explored. Our oceans support living organisms from plankton to humans and play a crucial part in stabilizing the temperature of the earth. As climate change transforms the planet, these habitats and their species face increased risk. The places listed below should all be visited with care — please pay attention to local restrictions and advice. 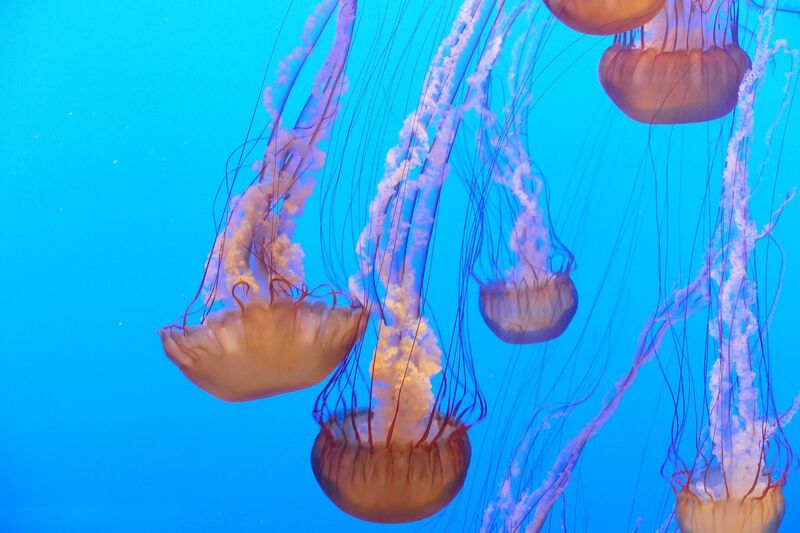 Here are 12 of the worlds most impressive underwater environments. Apart from Antarctica, no place on earth juxtaposes such extreme terrestrial aridness with such rich and diverse marine habitats. 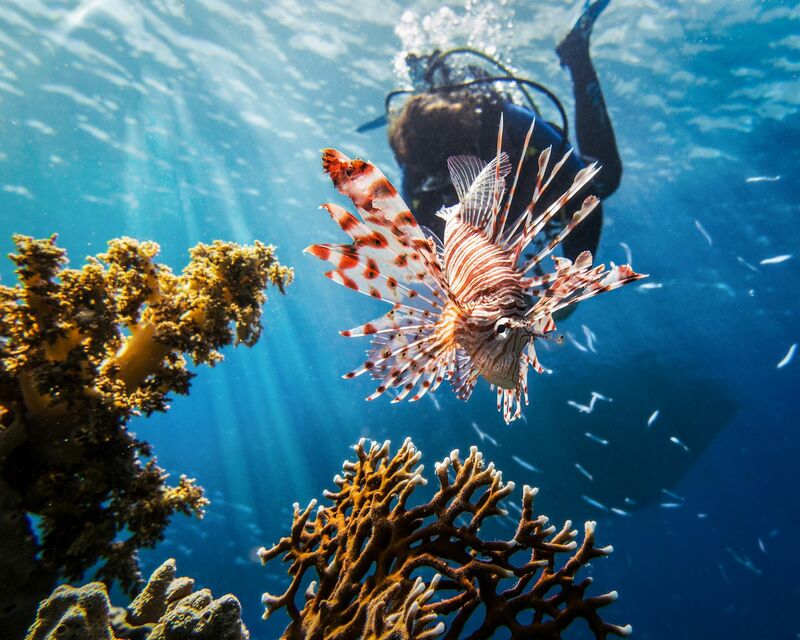 Situated between Africa and Asia, and stretching more than 1,000 miles from the Sinai Peninsula to the Indian Ocean, the Red Sea boasts more than 1,000 species of fish, 200 species of coral and another 1,000 species of invertebrates. It’s also a popular destination for wreck diving, and some of the most intact wrecks can be found in the Gubal Straits. Located in the Netherlands Antilles off the coast of Venezuela, this island is one of the best diving destinations in the Caribbean. The waters around Bonaire have been protected by an actively managed marine park for the past 25 years. The island’s location in the south Caribbean gives it an arid climate with little rain fall; consequently, the waters are exceptionally clear and calm all year round, making it a favorite spot for underwater photographers and videographers. The Great Barrier Reef is 1,600 miles long, 133,000 square miles in area, comprising 3,000+ individual reefs and islands, and is home to thousands of species. Due to human disregard for the environment, huge swaths of the reef are going through “bleaching.” Bleaching is what happens when coral is put under great stress in its environment, possibly by a rise in temperatures or an increase in pollution. When coral bleaches, it is more likely to die. And if enough coral in a reef dies, much of the other life in the reef goes with it. As the temperature of the ocean rises, as pollution increases, and as ocean acidity gets worse, reefs around the world are bleaching. 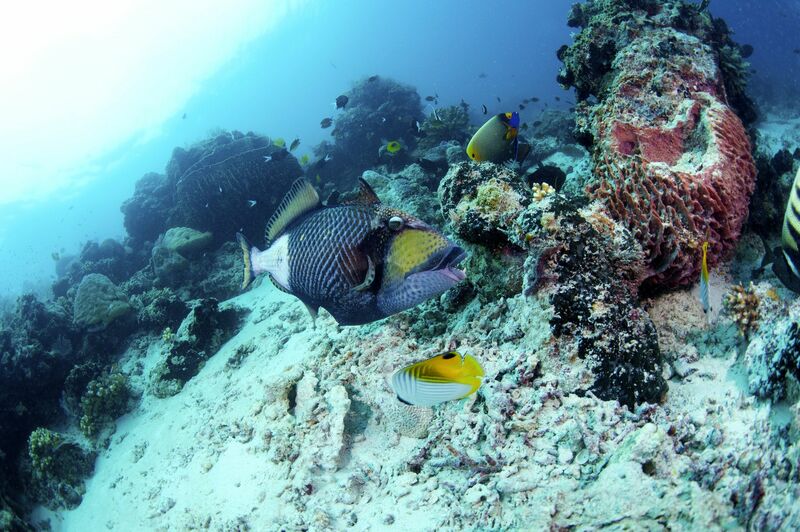 Wakatobi’s reefs are home to some of the most diverse and striking marine life to be found anywhere. The undersea terrain has isolated seamounts, scattered bommies, underwater ridges, fringing reefs, and reef slopes with hard coral gardens; and seagrass beds and stunningly steep drop-offs swathed with a rainbow palette of gorgonian sea fans, sea whips, and soft corals. Micronesia is the collective name given to the 2,000 tiny tropical islands that are scattered over more than 3 million miles of the Pacific Ocean. The eight island groups that make up Micronesia are Guam, the Republic of Palau, the Marianas, Pohnpei, Yap, Truk Chuuk, the Marshalls, and Kosrae – each unique group having its own culture, language, history, and attractions. Palau is an archipelago nation in Micronesia made up of 200 plus limestone islands. It has a middle-of-nowhere feel, being 500 miles from its nearest neighbors of Mindanao, Philippines, and North Maluku, Indonesia. The 25,000 people and government of Palau take their eco-consciousness seriously. In 2001, the Palau Shark Sanctuary was founded to protect sharks and 2,000 species of fish from long-line fishing vessels. 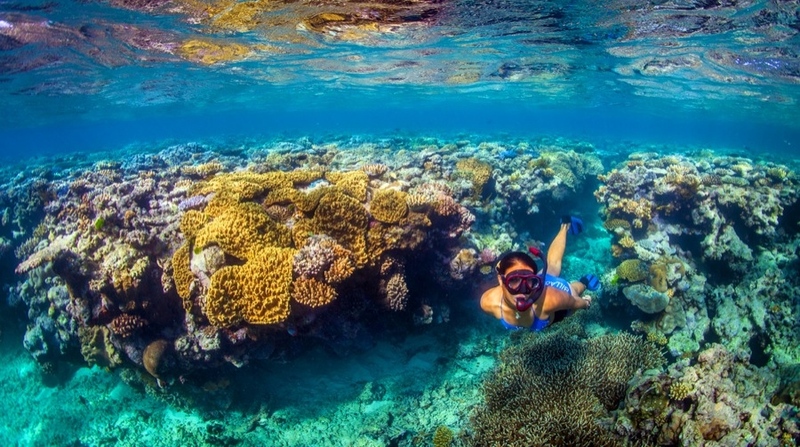 Hotels sell reef-safe sunscreen, and all visitors pay a green fee at the airport. 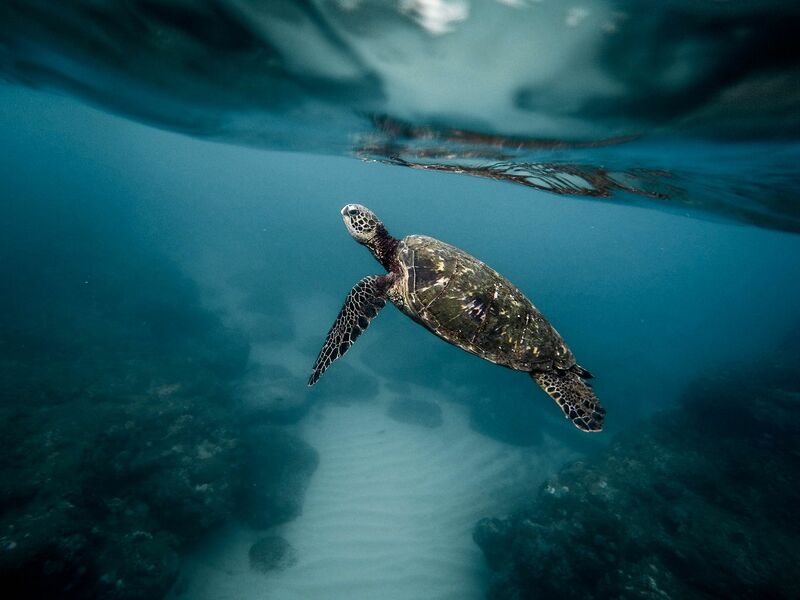 Listed as one of the top 7 underwater wonders of the world, the Galapagos Islands remain relatively unknown among diving aficionados. They are still relatively private, pristine, and unexplored. 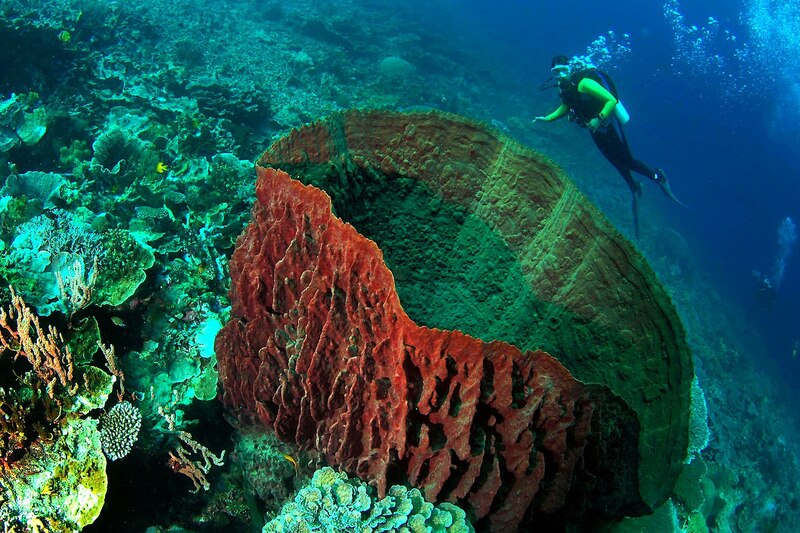 Unlike most popular diving destinations, reefs are not the primary attraction in these islands. Instead, areas like Darwin and Wolf Islands are home to several different species of sharks, including Hammerheads, Galapagos, and Whale sharks. Oftentimes, divers will experience schools of sharks numbering in the hundreds. Belize has seven World Heritage Sites — just on its barrier reef, which is the second longest barrier reef in the world and one of the most diverse ecosystems on the planet. Belize’s estimated 90 percent of all reef species are still to be explored. 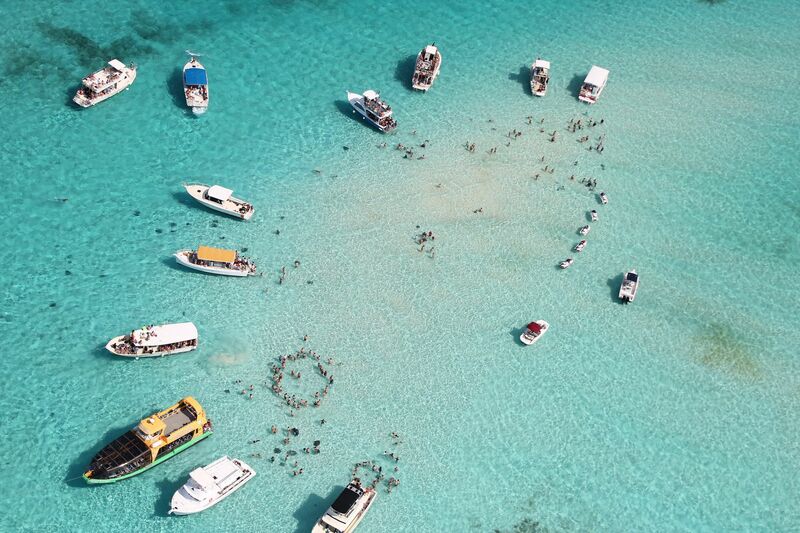 The country also claims more than 1,060 mangrove and/or sand cays. Some of these, like Caye Caulker, are inhabited; others are home only to birds, but worthy of exploration. This is a pristine reef, with giant schools of fish unaccustomed to divers’ bubbles, an armada of World War II wrecks, and creatures ranging from two-meter hammerheads to two-millimeter pygmy seahorses. Sipadan is a reef-ringed pinnacle situated on the edge of the continental shelf, which attracts colorful schools of fish, which in turn attract pelagics — sharks and others — that regularly stop by to feed or get cleaned. Due to its distance from other islands and its status, since 2003, as a marine park, the reef has escaped the dynamite fishing that destroyed other underwater habitats in the area. 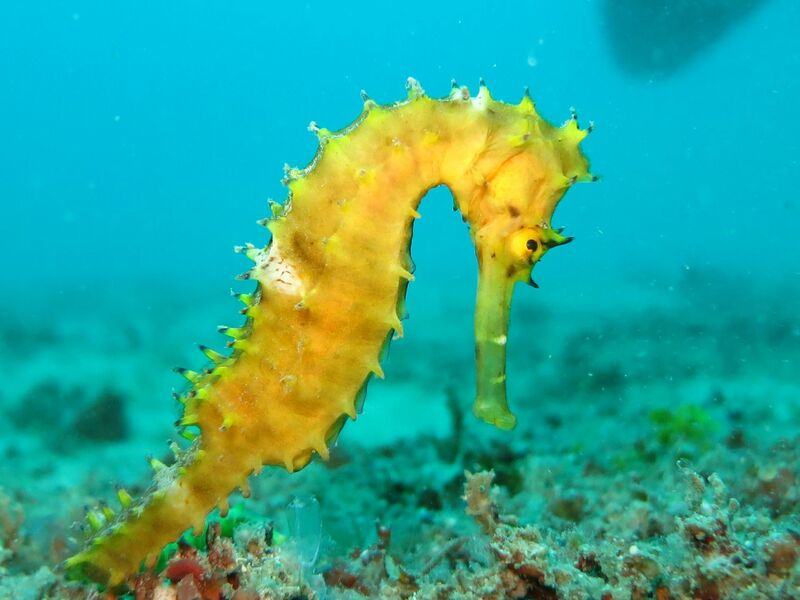 It’s continually listed among the top 10 diving destinations in the world. The Yucatàn Peninsula contains many of Mexico’s cenotes, water holes that have been formed by collapsed limestone, then filled with fresh water over millions of years. Many of these cenotes connect, forming an extensive underwater cave system. The Yucatán Peninsula has the longest underground cave system in the world, which makes the area one of the most impressive cave diving sites. 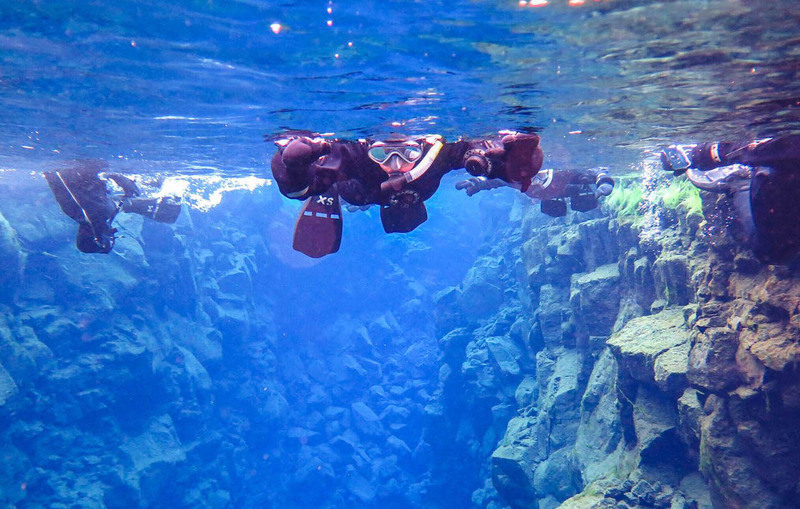 The Silfra Fissure, a crack between the North American and the Eurasian continents is located in Iceland’s Thingvellir National Park, and is the only place in the world where it’s possible to dive between two tectonic plates. It is here that they meet and where they drift apart (2cm per year). In some places, the plates are so close together you can actually touch both continents at the same time.